When it comes to music and tech, music streaming typically comes to mind. Much like the trend throughout the 2000s that saw Amazon lead to the growth of smaller niche online companies, music streaming has had a similar effect on old-school vinyl records. The increasing popularity of subscription streaming services such as Spotify, Apple Music and Tidal, have been a complement rather than competition, facilitating the growth of a technology that has been obsolete for half a century. A poll done by ICM and shared with the BBC, revealed that 45 per cent of vinyl buyers and collectors had first streamed the album prior to their purchase. With regard to digital, vinyl has also turned the tables with album sales exceeding sales from digital downloads, according to data from the Entertainment Retailers Association (ERA) in the UK. A colleague described to me an anecdote of a traditional Chinese tea bonding night in which the host spent the evening switching between his turntable and his Apple music subscription. Enter Singapore’s #vinyloftheday, a startup that hopes to fuse the community’s passion with its market potential. #vinyloftheday wants to build a platform for music lovers to buy, sell and share records — new and used. This marriage of art (music) and science (technology) is aiming to serve “the billion-dollar nostalgic niche”, with an industry valuation of US$1 billion in 2017. Established in 2013, the founders embarked on #vinyloftheday because they felt that the experience for vinyl collectors at record stores, on social networks and discussion forums was less than ideal, and had lots of room for improvement. Over three years, the team passively built a community of music lovers/record collectors with close to a quarter million followers on Facebook and Instagram. “At #vinyloftheday, we are committed to becoming the most sociable online market community for the vinyl collector and music lover.” he continued. Easy checkout through the shopping cart. The company makes money by taking an 8 per cent commission from completed transactions. An interesting tidbit is that #vinyloftheday’s employees are largely working DJs, producers, musicians and curators who help to make sure the company’s stock meets a high-standard. The team is also now looking to raise their next round of funding to support expansion within the region and beyond. Next time you’re in the mood to sit back, light some incense and put Houses of the Holy on the turntable, take a peek at #vinylfotheday to make the experience ideal. The app is now available for download on iOS here, with Android to be released later. 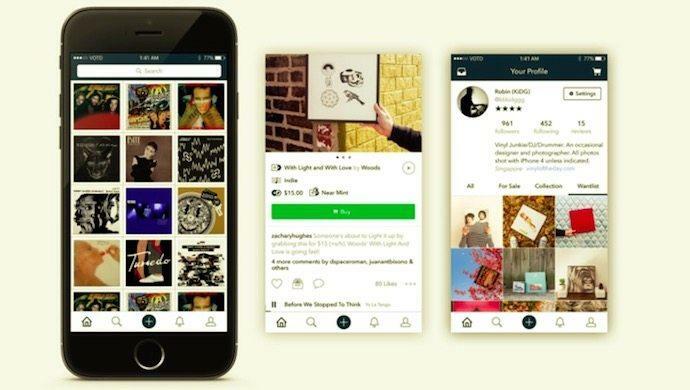 The post Singapore startup #vinyloftheday launches marketplace app, aims to become the hub for music collectors appeared first on e27.